Upon waking or about an hour after breakfast each morning, I go for a 20-minute walk. I go outside to get some fresh air, walk up and down the halls and stairwells in my building, or spend some time on the treadmill. When I’m done I feel energized, awake, focused, and ready for my day. It gets my body going and my mind is able to relax before being shocked into work-mode. 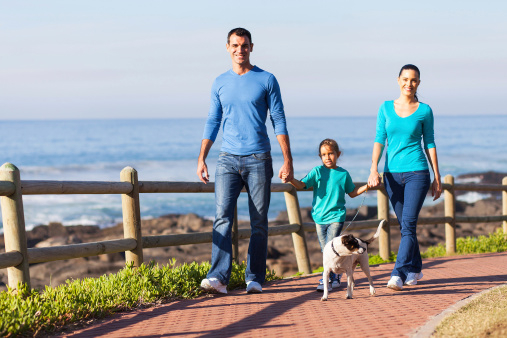 But aside from that immediate benefit, there are a number of positive aspects a daily 20-minute walk can bring to your life, making it one way to quickly and easily boost your overall health each day. It’s cold and flu season and a strong immune system is the best way to fight off the sniffles and stay healthy. A recent study I read by the British Journal of Sports Medicine followed 1,000 people between the ages of 18 and 85 and found that those who got some form of exercise for 20 minutes per day, five times a week experienced fewer illnesses during flu season than those who didn’t. Other research shows that walking actually recruits important immune cells that otherwise stay idle in areas throughout the body. Research has shown that walking for as little as 15 minutes can reduce cravings for sugary foods. Sugary food can lead to weight gain, metabolic syndrome, heart disease, and type 2 diabetes. Without the cravings, you’re far less likely to eat these unhealthy foods, meaning just 15 minutes per day could lead to a much healthier overall diet! Plenty of research has shown that walking can ease the pain of arthritis by lubricating joints and strengthening the muscles that support them. Some research has even shown that upping your walk to five to six miles each week, or 20–30 minutes of walking per day, can prevent arthritis from forming! Now keep in mind that all of these benefits can come by dedicating 15 to 30 minutes per day to walking. For some of you, that may be difficult. Perhaps you’ve been sedentary for a long time and a 20-minute walk is beyond your capability. But you know what? Your body is resilient. If you can only get up and walk for five minutes at this point, then do it—but keep at it. Before too long, your body and heart will become more efficient and you’ll work your way up to 20 minutes, I guarantee it. Aubrey, A., “Stepping Up Exercise Could Help Beat The Cold Virus,” NPR web site, November 8, 2010; http://www.npr.org/templates/story/story.php?storyId=131094125. Medline Plus, “Exercise and Immunity,” U.S. National Library of Medicine web site, last updated May 11, 2015; https://www.nlm.nih.gov/medlineplus/ency/article/007165.htm, last accessed October 23, 2015. Ledochowski, L., et al., “Acute effects of brisk walking on sugary snack cravings in overweight people, affect and responses to a manipulated stress situation and to a sugary snack cue: a crossover study,” PLOS One, 2015 Mar 11; 10(3):e0119278. doi: 10.1371/journal.pone.0119278. eCollection 2015. Skerrit, P. J., “Exercise is good, not bad, for arthritis,” Harvard Health Publications web site, May 8, 2013; http://www.health.harvard.edu/blog/exercise-is-good-not-bad-for-arthritis-201305086202. Hitti, M., “Exercise Prevents Arthritis Disability,” WebMD web site, January 6, 2006; http://www.webmd.com/arthritis/news/20060106/exercise-prevents-arthritis-disability.